The Full Works: Kit Form Steel Buildings Bespoke For You! The wonder of building from steel means that we can meet the demands of pretty much any idea. 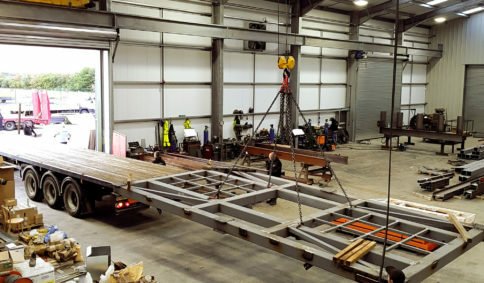 It is not unusual for clients to approach us with either a very complex plan of their steel frame building requirements or no idea at all what is it that they require. At Timmings we thrive from both of these situations. 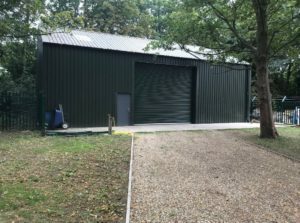 Purchasing a kit form steel building from us means you can place your order with confidence that we are here to help with the full design, supply and advice during the full assembly process. All our kit form buildings come as a complete unit, including all fixtures and fittings which are required. For your piece of mind we are also fully CE certified to ensure a quality product. Kit form steel buildings have been increasingly growing in popularity due to the cost effective and immediate nature of the building design. They are suitable for a wide range of applications and are popular within both the agricultural, industrial, recycling and domestic sectors. Timmings have been supplying kit form steel frame buildings for over 35 years and supply steel kit form buildings in all shapes and sizes. 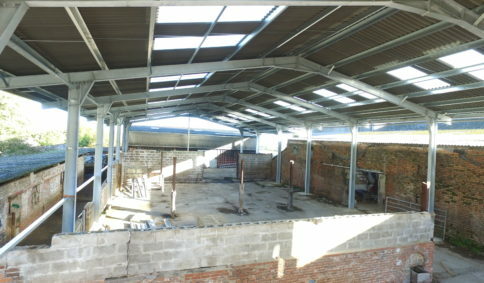 Ranging from grain store buildings to livestock buildings, and industrial buildings to agricultural steel frame buildings. 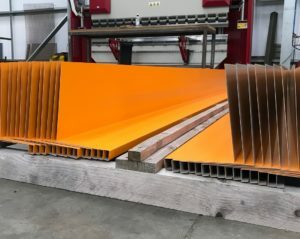 All our kit form building frames are supplied with an option of painted or a fully galvanised coating which comes with a 25 year guarantee against rust. In addition to this, we can add further protection and create a more appealing look for your environment by adding cladding and flashing options. Our expect team is on hand to guide you full the full process of manufacturing your bespoke buildings. From an initial consultation we will understand your overall requirements and environment on which the building will sit. From this we will provide you with detailed drawings of the design to bring your ideas to life. On delivery we also provide a full set out, elevation and assembly drawings to aid you during the erection period. If you wish to learn from about our services contact us today or call 01673 878800.